This research contributes to the academic literature, by understanding characteristics of real-time marketing (RTM) messages on social media and systematically looking at its impact on consumer engagement. The researchers empirically examine the effect of RTM messages on consumer engagement in social media and integrate insights from practice (using field interviews) and existing theory to propose and test two mechanisms by which RTM messages have an impact on consumer engagement. The lights went off at the stadium during Superbowl XLVII in 2013, delaying the broadcast of the most watched sporting event in the United States by 34 minutes. Minutes after the power outrage, Oreo issued a tweet stating ‘You can still dunk in the dark’, capturing the attention of thousands of fans waiting for the game to start. The success of Oreo’s quick action also generated attention to an emerging practice in social media, real-time marketing (RTM) messaging, defined here as brand messages incorporating a transient context (e.g. news events, cultural moments like holidays, or daily occasions) in its content and published in close proximity to the particular context. Industry reports indicate that the use of ‘real-time messages’ in social media are on the rise with more brands using transient environmental contexts as a part of their content. For example, Marketing Land reported an increase of 275% in the number of brands using RTM messages during the Super Bowls 2013-2015. The New York Times reported on the growing importance of real-time practices in mobile marketing as a way of engaging consumers in an environment where ‘people have little patience for any interruption, especially a banner ad or 30-second commercial’ (Hof 2016). Finally, a similar practice, namely ‘newsjacking’ has been formalised in practitioner trade publications as a way of using news events to increase the awareness of a brand message. We aim to make the following contributions. First, we introduce a formal definition and categorisation of RTM messages. Second, we empirically examine the effect of RTM messages on consumer engagement in social media. Third, we integrate insights from practice (using field interviews) and extant theory to propose and test two mechanisms by which RTM messages have an impact on consumer engagement. For the empirical tests, we worked directly with a social media agency to build a unique database of 3,023 Facebook messages across 18 brands in the food and beverage industries. Industry reports indicate that the use of ‘real-time messages’ in social media are on the rise with more brands using transient environmental contexts as a part of their content. For example, Marketing Land reported an increase of 275% in the number of brands using RTM messages during the Super Bowls 2013-2015. In our analysis, we find no effect of RTM on key consumer engagement metrics on Facebook, namely on ‘likes’, ‘shares’, and ‘comments’. Our analysis of manager interviews and RTM activity by brands led us to propose the presence of two types of RTM, namely Planned RTM and Improvised RTM (IRTM), based on the processes used to develop the content. We find Planned RTM has a positive and significant effect on some of the engagement outcomes, but Improvised RTM has a negative and significant effect across all three engagement measures. We propose and test two explanations for the negative effect of Improvised RTM. First, we argue and find evidence for the idea that the context dependence of Improvised RTM messages can result in content that is more difficult to understand, impacting negatively the engagement outcomes. Second, the speed required to develop Improvised RTM can have an adverse effect on the design effectiveness of the message, resulting also in lower engagement levels. Finally, we introduce two moderators of the relationship between Improvised RTM messages and engagement and find that narrow targeting and a more prevalent presence of the product can help turn Improvised RTM messages into an effective content strategy to generate engagement in social media. We examine two types of RTM messages in this research, namely (a) Planned RTM messages – messages created in anticipation of an established event or situation (e.g., a relevant moment of the day or a special event such as the SuperBowl) but deployed at a time when the context is most relevant and (b) Improvised RTM messages – messages created and deployed in close proximity to an event or situation not forecasted. We begin by investigating the main effect relationship between Improvised RTM messages and consumer engagement. H1a: Planned RTM messages have a positive effect on consumer engagement in social media. H1b: Improvised RTM messages have a negative effect on consumer engagement in social media. IRTM messages are more context dependent because they relate to special events or moments happening in a specific period of time. Therefore, consumers need background knowledge of the events or situation used in the content to fully understand the message. H2: Consumers’ comprehension of messages mediates the negative relationship between IRTM messages and consumer engagement. While planned messages typically go through several steps of design, development, and testing before they finally get released to the public, improvised messages do not necessarily go through all stages as they are created in minutes or hours rather than days. We expect low creativity levels to be associated with declines in consumer engagement. 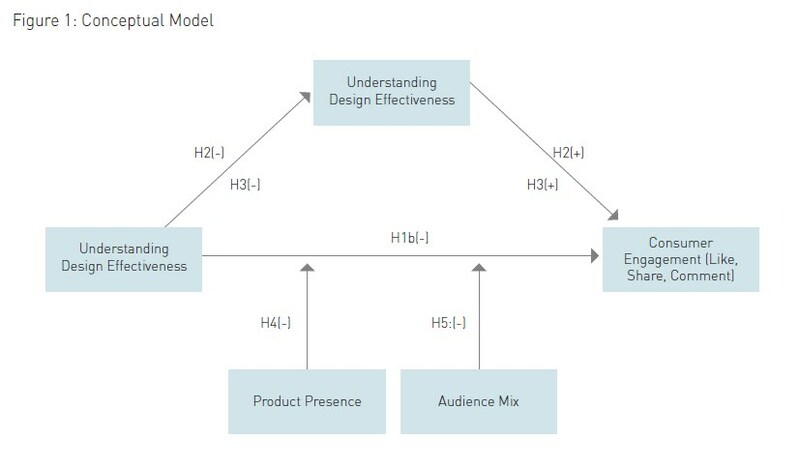 H3: Design effectiveness mediates the negative relationship between IRTM messages and consumer engagement in social media. We propose two factors as moderators of the effect of Improvised RTM messages on consumer engagement in social media. In particular, the presence of the product on the message and the audience mix of the placement. H4: As the presence of a product in a message increases, the negative impact of Improvised RTM messages on consumer engagement will decrease. H5: As a message reaches more core consumers compared to non-core consumers, the negative impact of IRTM messages on consumer engagement will decrease. Figure 1 provides an overview of the proposed relationships influencing the effect of IRTM messages on consumer engagement in social media. While more and more companies are incorporating RTM messages into their communication strategies in social media, some practitioners have expressed concern saying the practice could be a double edged sword. The database consists of 3,023 Facebook messages posted by 18 consumer product brands during the January – September 2015 period and collected with the help of a social media agency. Dependent variables: They consist of attitudinal (e.g., liking a post on Facebook) and behavioral measures (e.g., sharing or commenting on a Facebook post with friends) (Berger, 2014; Pansari and Kumar, 2016; Lee, Hosanagar, and Nair, 2015; Porter and Golan, 2006; Stephen, Sciandra, and Inman, 2015). We adopt this approach and measure consumer engagement in social media through the number of “likes”, “shares” and “comments” received by a post on Facebook. Independent variables: The study of RTM messages on social media engagement is particularly challenging due to the difficulty in distinguishing between Planned and Improvised RTM messages. 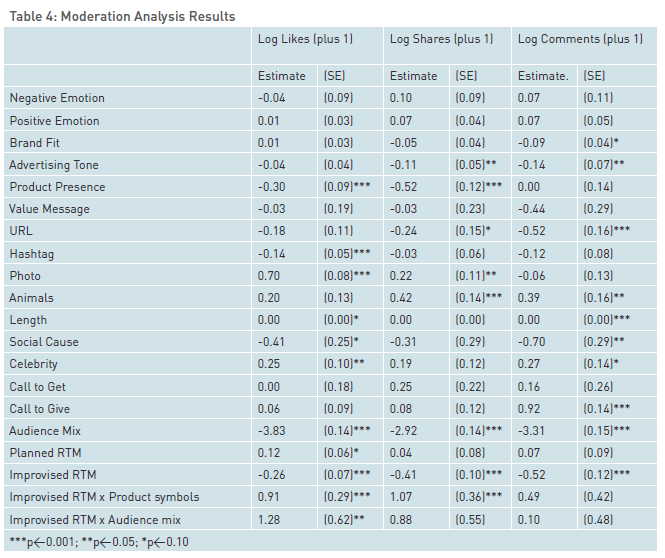 Mediator and moderator variables: As one of the mediators in our model to explain the effect of IRTM messages on engagement, we measured ease of understanding of each post using two sources including consumer-based tagging via Mturk and tagging effort by the social media managers. 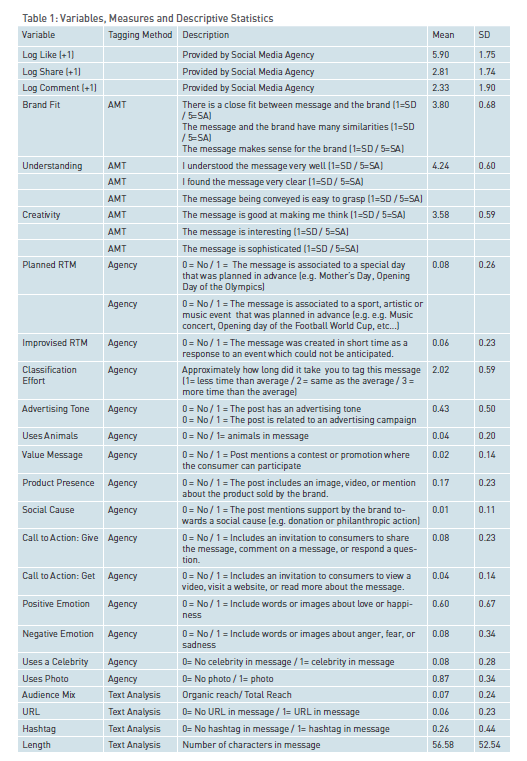 The specific items used for the consumer-based tagging of messages are described on Table 1. Audience mix: We adopted a measure of audience mix from Stephen, Sciandra, and Inman (2015) and define audience mix as organic reach / total reach for each post. According to their measure, consumers reach posts either due to their own interest (organic reach) or because the brands paid a premium to increase exposure (paid reach). To test the hypotheses of the study we addressed the following considerations that emerged due to the nature of the data and the data generation process. First, because of our focus on real-time posts, we addressed the possibility that a firm’s decision to use such a message was a strategic choice and therefore ignoring this decision could bias the results. Consequently, we employed a first stage Heckman selection model with messages coded as real-time taking the value 1 and non-real-time messages coded as 0. We then estimated a maximum likelihood probit model with brand size, month, as well as product category fixed effect as predictors of real-time marketing activities. From this analysis, the inverse mills ratio (IMR) was included as an additional variable in the subsequent analysis to account for potential selection related endogeneity of the message’s use of a real-time strategy in the consumer engagement model. Second, the dependent variable of our study is the total number of likes, shares, and comments received by a post. The distribution of all three variables is left-skewed, with the majority of posts receiving low levels of engagement. Consequently, we applied a logarithmic transformation of the dependent variables (i.e., log(y+1)) prior to using the three engagement measures in the analysis. Third, we included brand fixed effects to account for differences in the size of the social media network for each brand as well as capture the brand specific social media capabilities. The capabilities are inherently unobserved and could serve as omitted variables, the exclusion of which could bias the main model estimates (Wooldridge 2010). Finally, we addressed the likelihood that the content design factors of the real-time messages were endogenous decisions. While we had taken steps to address possible issues around the strategic choice of using real-time messages with a selection correction model and included brand specific effects to proxy latent marketing capabilities, other unobserved factors could have influenced the content design choice. Variables were tagged using three different methods, with some tagged using text analysis, others were tagged by the agency managers, and as mentioned earlier we also used consumers via Amazon Mechanical Turk to tag variables that required a user perspective. A summary of the variables and tagging method can also be found in Table 2. Planned messages typically go through several steps of design, development, and testing before they finally get released to the public, while improvised messages do not necessarily go through all stages as they are created in minutes or hours rather than days. Results We draw on contextual congruency theory to predict that Planned RTM messages would experience a positive and significant effect on consumer engagement. However, the opposite effect was expected for Improvised RTM messages. The information in Figure 2 provides model free evidence of the relationship between Planned RTM messages, Improvised RTM messages and engagement. As illustrated by the graphs, average engagement across Likes, Shares, and Comments is consistently lower for Improvised RTM. 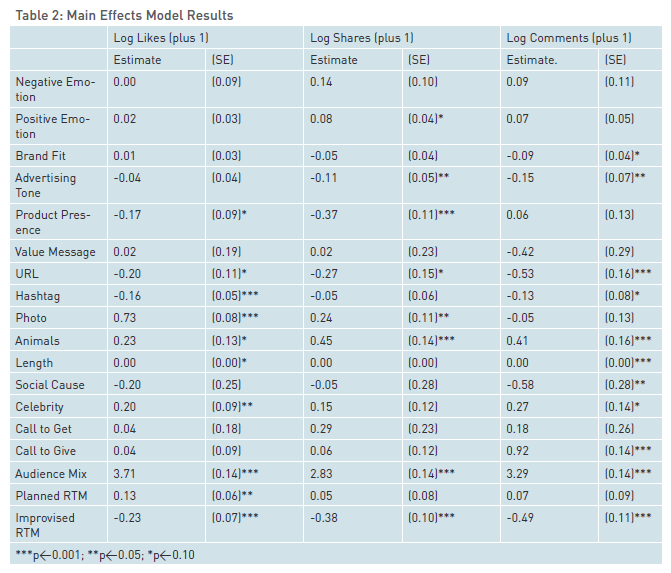 The results from the simultaneous equation analysis testing the main effects of the two RTM message types on consumer engagement in social media are reported in Table 2. After taking into account the additional modeling considerations, we find partial support for H1, with Planned RTM having a positive and significant effect on Likes. Planned RTM does not have an effect on more behavioral measures of engagement such as Shares and Comments. While the choice by consumers to ‘Like’ a post on Facebook is considered an indicator of attitudes towards a message, ‘Shares’ and ‘Comments’ are considered behavioral indications of engagement and possibly less impacted by contextual congruency effects. Of critical importance to our study is the main effect of relationship between Improvised RTM messages and consumer engagement. We find strong evidence in support of H2, suggesting that IRTM messages can in fact become a liability to the social media engagement efforts of a brand. This finding is surprising considering the attention given in the business press to IRTM message activities by brands. While it is true that a number of brands such as Oreo and Samsung have been able to capture the attention of consumers using IRTM message strategies, it seems that on average it is not a strategy that enhances consumer engagement in its current form. We argue for two factors that could help explain the negative effect of IRTM messages on consumer engagement. First, we draw on the prior literature on improvisation in new product development (Moorman and Miner, 1998) to propose that the rapid development required for improvised messages could lead to lower levels of design effectiveness. Two measures of design effectiveness are used, first consumer perception of creativity and second, a measure of conciseness in the form of number of characters used to create a post. Second, we propose that the high level of context dependency would, on average, make Improvised RTM messages harder to comprehend. We use two comprehension measures. First we establish a consumer based measure of understanding and we use a measure of the effort required by agency team members to tag each post as an indicator for ease of comprehension. 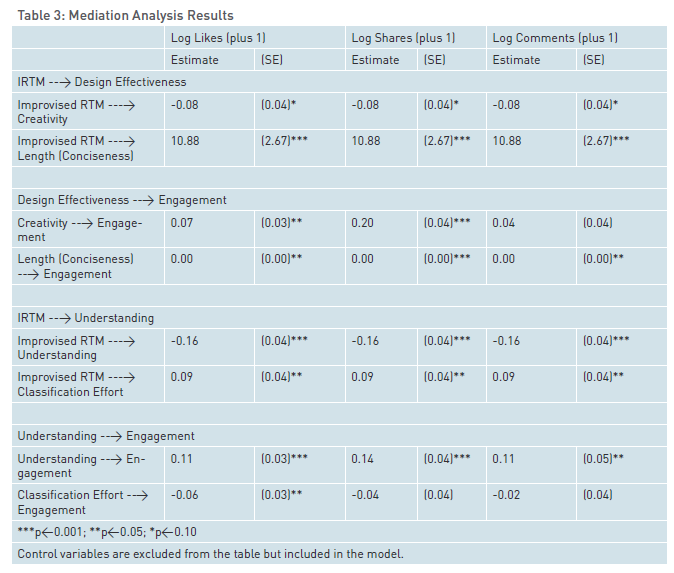 The results of our mediation analysis on Table 3 provides evidence in support of both hypotheses. The inverse mills ratio (IMR) was included as an additional variable in the subsequent analysis to account for potential selection related endogeneity of the message’s use of a real-time strategy in the consumer engagement model. Specifically, we find that IRTM messages in our sample are designed with greater length, meaning lower levels of conciseness and conciseness is strongly associated with engagement. We also find a negative and significant effect of IRTM messages on consumer based creativity and as expected, a positive effect of creativity on engagement. Finally, both measures of understanding have results consistent with our expectations. IRTM messages have a lower level of consumer-based understanding and required greater effort to tag by agency managers. We use both measures as indicators of comprehension which is found to have a positive and significant effect on engagement. Finally, we proposed two moderating effects on the relationship between IRTM messages and engagement. As stated earlier, we argue that the negative effect of IRTM messages could be reversed if the messages are targeting core followers of the brand. In other words, the broader and more mainstream the audience placement of the post, the more likely that the audience will not have sufficient awareness of the specific context used in the message leading to a negative effect on engagement. However, if the message was targeted to core fans of the brand, the opposite effect could occur leading to a positive engagement outcome. In addition, we contend that if the message is designed with a prevalent presence of the product it can facilitate its understanding and as a result, mitigate the negative effect of IRTM messages on engagement. The results from the targeting and product presence effect on the relation between IRTM and engagement are described on Table 4. We find evidence in support of both hypotheses. First, as the audience mix focuses on core followers, the negative effect of RTM on engagement is mitigated on ‘Shares’ and ‘Comments’. The effect on ‘Likes’ is fully reversed, turning IRTM messages into a driver of consumer engagement. In addition, the data suggests that the presence of the product in the message helps IRTM messages increase ‘Likes’ and ‘Shares’, while reducing the negative effect on ‘Comments’. Real-time messages have received significant attention by marketing managers and agencies alike as one of the defining practices of the social media era. As a result, many companies have invested in the creation of social media centres that can actively use current events as context to promote their brand messages and generate engagement with consumers. In this study, we categorise RTM messages, based on their development process, into Planned and Improvised RTM messages. 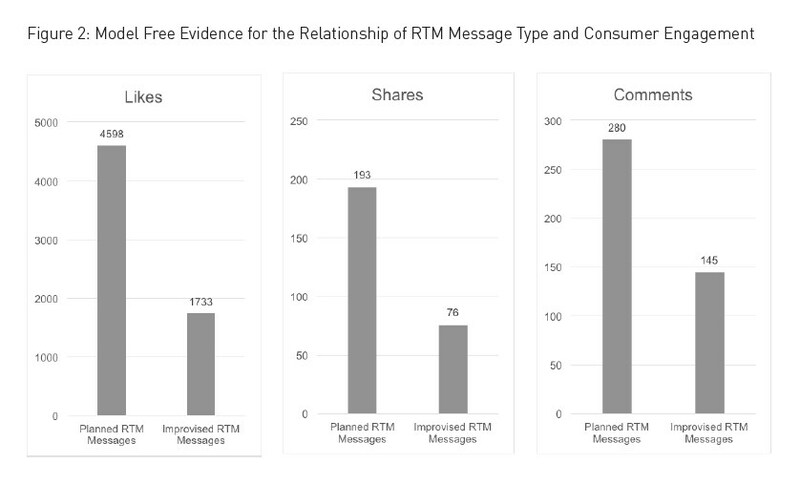 We find that, on average, the use of Improvised RTM messages has a negative and significant effect across all three measures of consumer engagement used in the study. This result is important and surprising considering the amount of attention that the RTM practices have received in the press and the investments made by companies to develop improvisation capabilities in social media. Interviews with social media managers responsible for creating RTM communication along with a review of the improvisation literature helped identify two factors to explain the negative effect of Improvised RTM messages. Interviews with social media managers responsible for creating RTM communication along with a review of the improvisation literature helped identify two factors to explain the negative effect of Improvised RTM messages. First, we propose that the reduced development times required for creating an improvised message in real-time can put at risk the design effectiveness of the message, hence reducing its potential for engagement. In a second explanation we proposed that understanding of an Improvised RTM message had a higher contextual and temporal dependency than other messages posted in social media. Our study also presents two moderators that can help reverse the negative effect of Improvised RTM on consumer engagement. First, we contend and find evidence to support a relationship between targeting and IRTM, mainly that the more targeted the message the greater the impact of IRTM on engagement. In addition, we find that product presence in the message can also help moderate the effect of Improvised RTM on engagement. Our proposition of two forms of RTM messages, namely Planned vs. Improvised RTM messages, provides a new research dimension for the study of social media messages. Many companies have invested in the creation of social media centres that can actively use current events as context to promote their brand messages and generate engagement with consumers. Our research focuses on content strategies and characteristics that are well within the control of managers and provide insights into actions they can take to improve the performance of an RTM communication strategy. 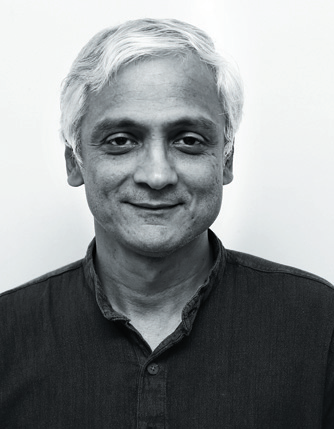 In particular, it provokes managers to consider the creation of Improvised RTM programmes as a new form of capability that requires new processes and methods to mitigate the risks associated with design effectiveness and message understanding inherent in a more rapid and dynamic creative process. All together we believe that our study can help practitioners turn Improvised RTM into an advantage, while guide scholars into new areas of study on this increasingly important form of brand communications. Omar Rodriguez Vila, Assistant Professor, Marketing, Scheller College of Business, Georgia Institute of Technology. Myoung-Jin Chae, Doctoral Candidate, Marketing, Scheller College of Business, Georgia Institute of Technology. The Coca-Cola Company Chair, Marketing, Terry College of Business, University of Georgia.